When Liz was 9, her family spent a year sailing the Mexican coast. “That trip inspired my dream to sail around the world,” she says. After college, she turned her dream into reality, leaving Southern California in her 40-foot sailboat, Swell. 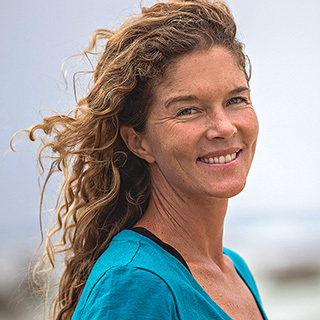 Now, when not surfing perfect reef passes in the South Pacific, she’s working to raise environmental awareness through writing, film and photography. Works have been published in Surfing Magazine, Surfer’s Journal, Foam Magazine, Sail Magazine, Wend Magazine, National Geographic and National Geographic Adventure, Surfer, Outside Magazine, Surfer’s Path and more. Over 500 travel blogs posted on http://www.swellvoyage.com.